This time I want to show the work I have done this April on 4 new sets in 1/72 scale. 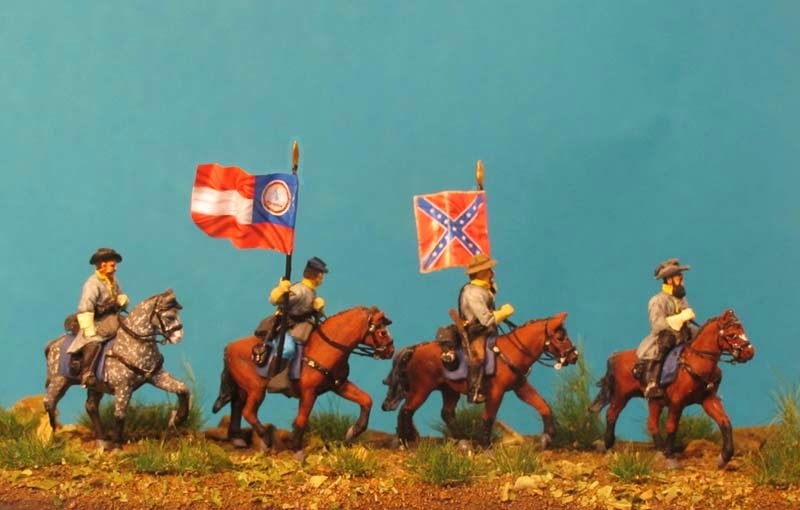 The first is a new set of the Virginia Cavalry ACW which will apear under label Germania Figuren® . 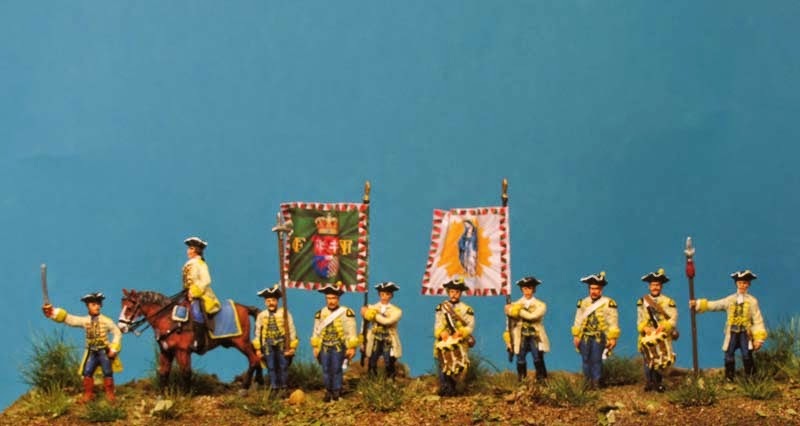 This is the Comand set with General Stuart, a staff officer and 2 standart bearer with the flags of the regiment. 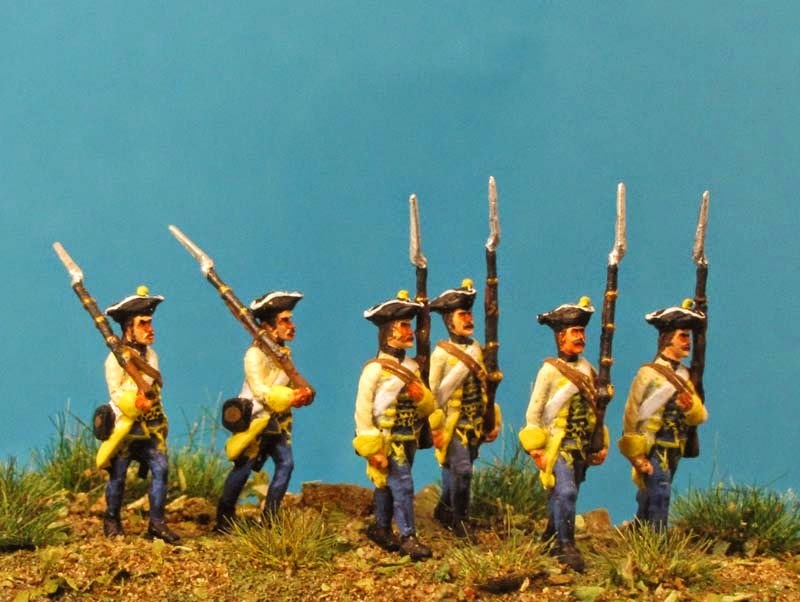 The other sets of this month go to the SYW campaign, marching Grenz Infantry ist set no.05 of this regiments. 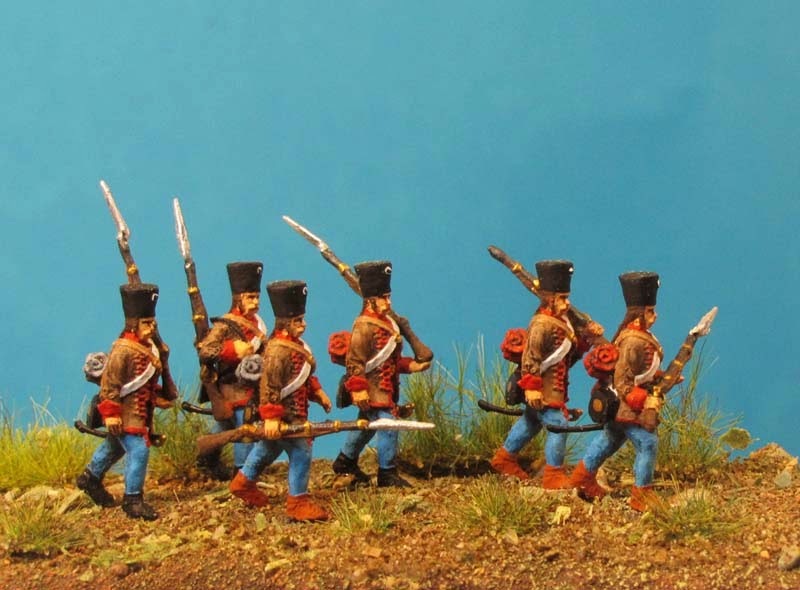 With the Command group and some marching fusilier we start with Germania Figuren® to complete the Hungarian Infantry Regiments. In the next time the different movements of fusilier with come, together with Dragon and Cuirassier of the Austrian army. Now gluing and priming of the next sets which are waiting on the table.